I'm sorry. I have tried a lot. This just doesn't work with S3 buckets. Tried everything. It's either not connecting or not being able to create folders or sync files. For some reason I can't even do it via s3fs. On my other EC2 ubuntu instance s3fs works without any problem. After searching for solution and seeing a lot of people having issues that can't be fixed I have to say that owncloud isn't worth your time. But nextcloud (yes - forked owncloud) works like a charm. Simple install (snap), S3 used as main storage. Absolutely no problems. Deployed this server in last then 5 minutes, my coworkers installed the client and we could sync file in just a few minutes on a micro instance. Great Image ! OwnCloud totalment configurat per comprovar el temps més curt possible. Funcional i com tots els productes Bitnami fàcil operació i configuració. OwnCloud fully configured to test for the shortest possible time. Functional and like all products Bitnami easy operation and configuration. 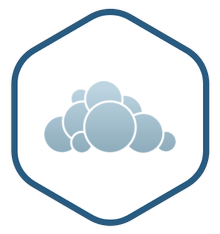 ownCloud AMI was easy to install and configure. With a few clicks i got running my ownCloud. The only bad thing is that the default volume only had 10GB of storage, but was very easy to solve. I am quite ok with handling PC/Mac at a user level, but totally inexperienced in setting up a server or installing software on the server. I had to look up (probably the most basic) unix commands to to install OwnCloud in a new EC2 Instance over SHH in the Mac terminal, all looked great (to me) - but I couldn't access the http://IP.owncloud.com page. Spent about 2 hours. No success. Then I tried ownCloud powered by BitNami and it took me10 minutes. It even takes care of setting up the EC2 Instance for you. Highly recommended!